The stock bushings on current Subaru models are one of the weakest points of their suspension design. 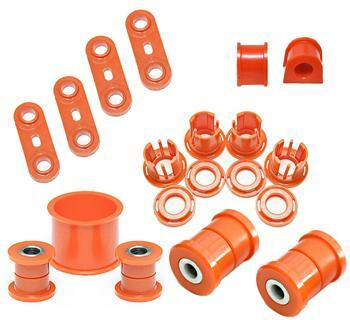 The OEM bushing was designed primarily for comfort and is very soft. It’s known to fail prematurely, especially in areas with poor roads. The Rear Differential Member bushings removes the squishy feeling you get at the rear of the car, and cures the tendency of the rear end to “crab” as you go down the road.